Award Winning Labels, Asset Tags, Stickers, Name Plates, Decals | Data Graphics Inc. Award Winning Labels, Asset Tags, Stickers, Name Plates, Decals | Data Graphics Inc. Isn't it time for better custom label printing? Are you frustrated by slow unreliable printers that don’t get you the custom asset tags, uid barcodes, and custom die cut stickers that you need when you need them? 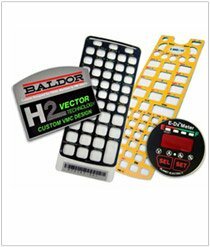 Data Graphics, which has won several awards from some of the most exacting manufacturers in America, is the answer for all of your asset tags, uid barcodes, and custom die cut stickers. Are you finished with low quality metal asset tags, aluminum name plates, and supposedly waterproof labels that don’t hold up to the elements? 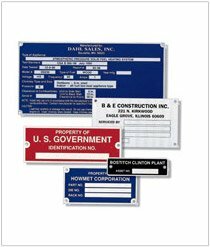 Data Graphics is perhaps the most highly certified and highest quality printer of metal asset tags, aluminum name plates, and waterproof labels in America. Are you looking for one place to handle all of your printing needs – engraved name plates, digitally printed UID stickers, laser etched metal asset tags, hot stamped direct thermal labels, metalphoto ® aluminum name plates, screen printed custom vinyl decals, flexographic custom label rolls, large format signage, and even your company work uniforms? Let Data Graphics be your full service custom printing solution. What separates one advanced custom labels printing facility from another? It's simple–people. People you can rely on. People who are a pleasure to work with. People who continue to pursue perfection at the same custom label printing facility for generations. From the minute you place an order with our team at Data Graphics Inc., your complete and total satisfaction becomes our priority. 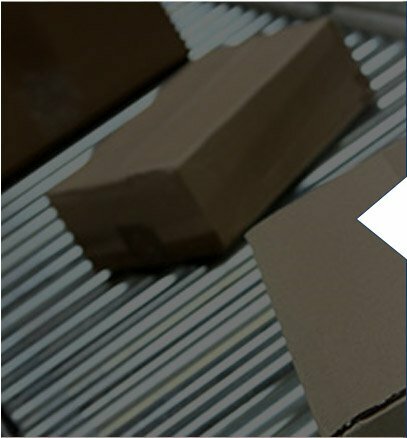 Our dedicated staff has an amazingly long tenure with our team that exceeds the industry average, with over 500 years of collective custom label printing experience. Why should this matter to you? 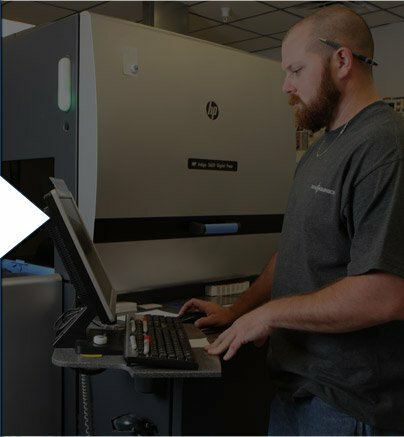 Our team's experience gives them the unique ability to keep up with the blur of high-speed specialized printing equipment and focus on the smallest details that determine the success of your digital printing job. It enables us to provide the highest quality products every single time, whether you are looking for the highest quality metalphoto UID barcodes, or low cost direct thermal labels on a roll. That experienced team has one objective - to become your preferred asset tag, custom printed label, name plate and screen printing house. We are not trying to maximize our profits on your next order of UID stickers, custom vinyl decals, or barcode labels. Rather, we want to be your custom label printer for life. You also work with one point of contact throughout your order, minimizing careless printing errors that happen when other printers pass your order around all their departments. We even match our Sales Engineers to your specific account needs. We serve several high-tech industries, so we give you a Data Graphics specialist who speaks your language. No annoying back and forth with inexperienced salespeople. 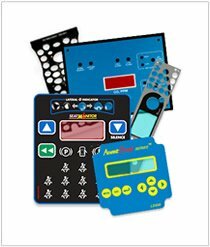 We've seen and printed hundreds of thousands of custom asset tags, UID barcodes, custom die cut stickers, engraved name plates, and custom printed labels since our company was founded in 1984. Meet the Sales Engineers at Data Graphics and see why the difference is in our team. Fast Service Fortune 500 Companies Trust! Find out why big names like Disney, NASA and John Deere turn to us for their custom printing needs. Samsung, Siemen, and GE. We are winners of the Platinum Premier Supplier Award from Rockwell Collins and the incredible prestigious Gold Supplier Award from Boeing. We are a truly elite UID barcodes, custom printed label, screen printed overlay, and metal asset tag manufacturer. Once we serve new custom label clients, they rarely go elsewhere for their printing needs. More than 80% of customers have returned for repeat orders. The more demanding the specs for your custom printed labels, the more our services stand out from the competition. We invite you to tour our facility to see our amazing production process that allows us to complete 60% of our orders ahead of schedule. Some competitors' printing facilities are so messy and disorganized that you couldn't and wouldn't want to visit. We take pride in our production by maintaining the cleanest, most organized facility. How does this translate to faster order completion? Carefully cataloged parts and materials let us complete production faster. Well-maintained, finely tuned equipment runs smoothly without the risk of time-consuming repair delays. Neat, clean production ensures your printed materials don't get damaged by floating debris and splashing chemicals. It all adds up to one thing –faster, better UID barcodes, custom decals custom label overlays, and custom asset tags for you. We want to be your go-to name plate, overlay, custom decal, and asset tag manufacturer for many years to come. To stay at the top of our industry, we continually upgrade our company to ensure you're getting the best service possible. We recently completed a $1 million upgrade of our facilities and machinery, including the addition of a new Hewlett Packard Indigo 5600 Digital Press. We don't only focus on equipment and facilities. We maintain the quality certifications you need in a printing vendor, including UL, AS 9100, ISO 9001, Metalphoto, and ITAR Compliance. 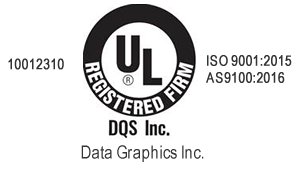 We also hold the UL's 969, and PGDQ2 special designation on some materials, making us one of the most widely certified name plate, overlay, asset tag and custom label printing house in America. 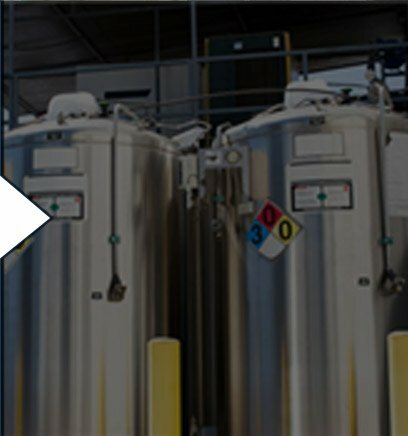 We continually expand this highest UL designation to other materials. Read our reviews to see how our exceptional certifications produce quality results our clients trust.